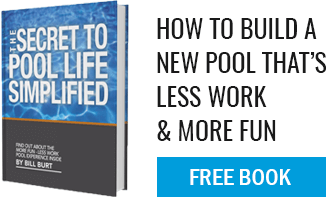 How often do I have to vacuum my pool? Well that’s entirely up to you. Most debris in a pool is wind driven and if the skimmers are working properly, then we can usually get most debris off the surface of the pool water before it gets water-logged (becomes “dirt”) and falls to the floor. However we all know that’s not always possible so cleaning the pool will eventually be something one needs to do. Also, note that decomposing leaves, sticks, bugs use up available sanitizers (chlorine for example), so if we keep the pool clean we will use less of those chemicals.